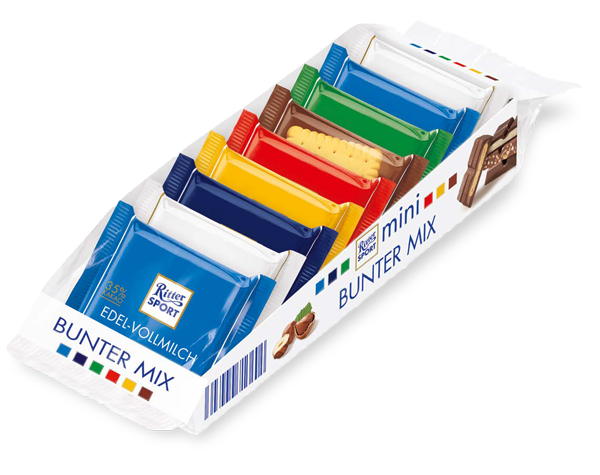 With handling systems from Afag, the packaging technology specialist PKM is able to pack the mix of Ritter Sport minis in saleable cardboard trays desired by the retail customer. The complete, ready-to-connect handling systems with linear motor technology ensure maintenance-free operation. Who doesn’t know them, the practical chocolate squares called Ritter Sport in many different flavours and in two sizes that can sweeten your day? Square, practical, good – for years, these attributes have distinguished the well-known chocolate manufacturer from Walden-buch/Germany on the market and continue a sustained wave of success. To ensure that this remains the case, different varieties of the “mini” version can be arranged in a sales tray according to customer requirements. This in turn poses a great challenge for packaging technology, which the chocolate manufacturer – with the help of the experienced specialists at PKM Packaging, Pirmasens/Germany – is able to master in a process oriented manner. PKM with around 70 employees develops, designs and builds high-performance packaging solutions according to the wishes of its customers. Its global clientele includes manufacturers and distributors of products in the areas of consumer goods, electronics, household goods, or food and beverages. 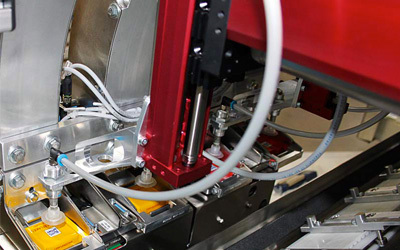 The basic machines developed for the production and assembly of packaging are based on modular systems. The PKM product range includes cardboard erectors/sealers, case packers, wrap around systems, palletising systems, or combinations thereof. Depending on requirements, these machines and systems are implemented as semi- or fully-automatic solutions and equipped with integrated functions like grouping, labelling, dosing/weighing, enclosing or printing. The fact that this is actually the case in daily practice becomes apparent in a complex project, such as the development and construction of a combined packaging machine for erecting the above mentioned cardboard sales trays and flexible loading with Ritter Sport minis. “The tricky task for us was to assemble 110 cardboard trays per minute from the cardboard magazine and to load them with either nine or twelve Ritter Sport minis,” reports Jens Sperber, technical Manager of PKM. “The minis have the same basic surface area, but the thicknesses of the different types vary. In addition, there are up to three different formats and up to 15 filling variants to consider. For reasons of product output and cycle time, we decided on a four fold station for erecting the cardboard trays and a total of 16 stations for flexible loading with the various minis”. The format change of the cardboard trays from nine to twelve chocolate bars to be packed, as well as the feeding of the cardboard trays to the respective assigned loading stations, takes place automatically. 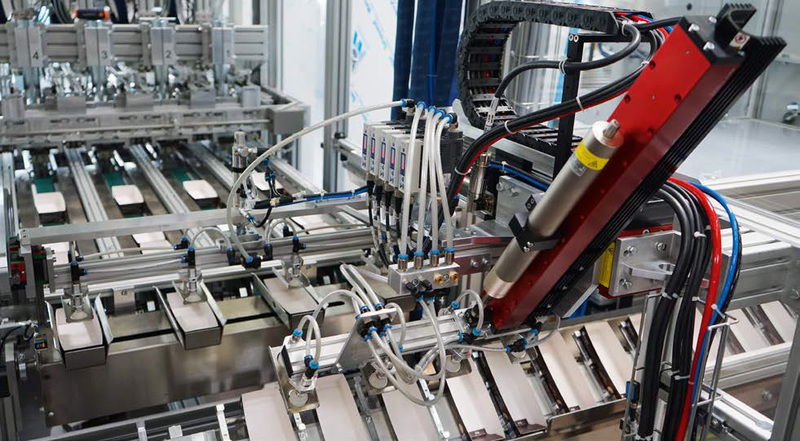 “Because of the very high cycle rates required, the flexibility offered, the essential process reliability and the significantly simpler integration of functions compared to pneumatic handling systems, we favoured electrical handling systems with linear motor technology,” says Jens Sperber. “The touch of a button is enough to very quickly and expeditiously convert such handling systems to the respective format at the stations. We brought our proven supplier Afag on board to support us”. 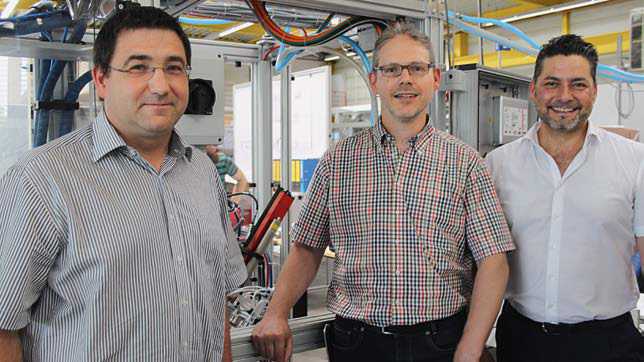 In close contact with Alexander König, Area Sales Manager South-West at Afag, and the application engineers of EPS GmbH (a member of Afag Group), a solution concept was worked out and, after selecting the suitable electrical handling systems, supported by corresponding cycle time calculations. The two EPS midi handling systems with the YZ axis design were chosen for loading the cardboard trays with chocolate bars. Another EPS maxi handling system with XZ axis design is responsible for erecting the card-board trays at the beginning of the packaging process. The EPS midi YZ is a very dynamic design that can easily handle even continuous higher loads of up to 255 N and operates wear free. The EPS maxi XZ handling system is the preferred choice when powerful, robust boom handling is required. Alexander König comments: “PKM had already had the best experience with our handling systems, and this time, too, we were able to impress them. The robust and precise design of the linear and lifting axes stands for highest quality, longevity and reliability. We guarantee high process reliability with up to 100 million load cycles. 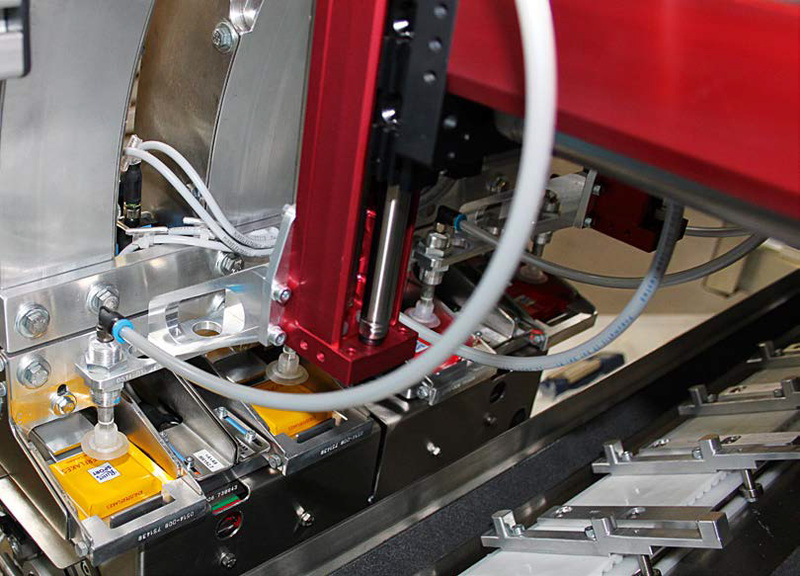 In addition, we deliver the specifically configured handling systems as fully assembled, completely wired units ready for connection, including the gripper interface. This results in genuine time and cost advantages for the customer from the design stage through installation and commissioning”. 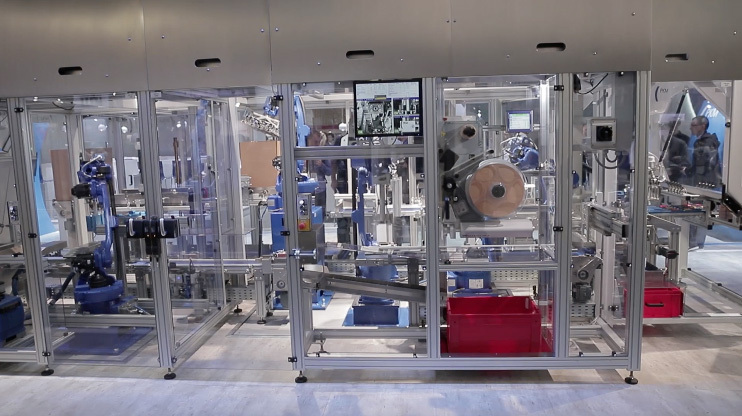 Just how well the close and trusting cooperation between the customer, PKM, and the handling systems supplier, Afag, works can be seen not least from the fact that the packaging line described here is already the second one implemented for the end customer Ritter Sport. “With the ready-to-install delivery of our handling systems that are equipped strictly according to customer specifications, we are able to relieve the customer of at least part of his tasks in the area of design and assembly,” Alexander König concludes. “Thanks to the design of the handling systems from our modular construction kit with industrially proven high-quality handling components, we can achieve individual solutions that pay off for the customer in more ways than one. In particular, this is due to faster, time- and cost-optimised complete performance with extremely high process reliability in terms of handling technology. In the case of the packaging line for the Ritter Sport minis, PKM even managed to exceed the required number of 110 trays per minute with the help of our dynamic handling systems”. From the left: Jens Sperber, Technical Manager, and Michael Hertzler, Sales & Project Manager, both from PKM, and Alexander König, Area Sales Manager South-West Germany, from Afag.